He hasn't been in the NBA for a while, but we all remember how Tim Duncan used to be. The Big Fundamental was as vanilla as they came in the league. Picture the exact opposite of NBA stars today, and you have yourself TD. If you still don't get it, just try to wrap your head around Draymond Green not being able to trash talk him because he was so quiet. His 19-year career ended following the 2015-2016 season and we now know exactly what he's been doing with his time. Duncan has been switching up his style, most noticeably his hair. If you watched Duncan at all during your childhood, that feeling you're currently going through is your brain melting in your head. Duncan didn't look like that at any point in his career and didn't even have that kind of hair in college when he was at Wake Forrest. Sure, he had a little bit of an afro during his younger days, but it was nothing close to this. Maybe Duncan is hitting his midlife crisis? He's 42 so it does make sense. 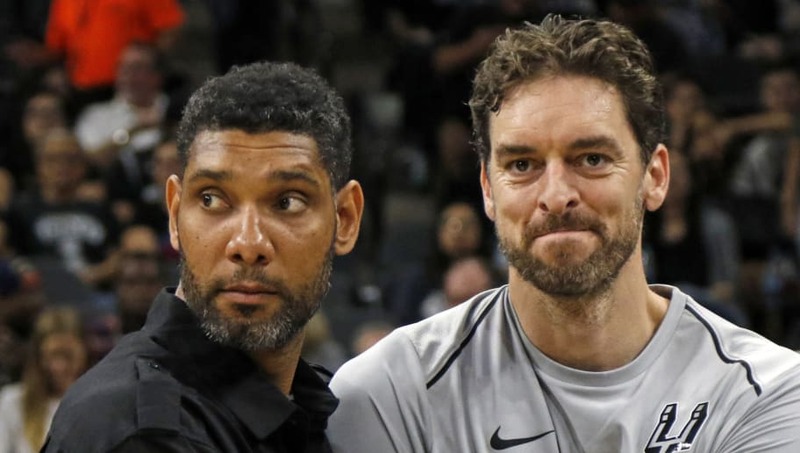 This also could be Duncan trying to look younger and mesh with the weird hair of Lonnie Walker at Spurs practices. Just by looking at that mop on his head, you have to chalk it up to some recognition for how well Colin Sexton has been playing. No matter what the reason is, this is something that can only get stranger. What if he lets the dreads keep growing fully, or eventually puts them into cornrows? The world isn't ready for looks like that.